Surprise! 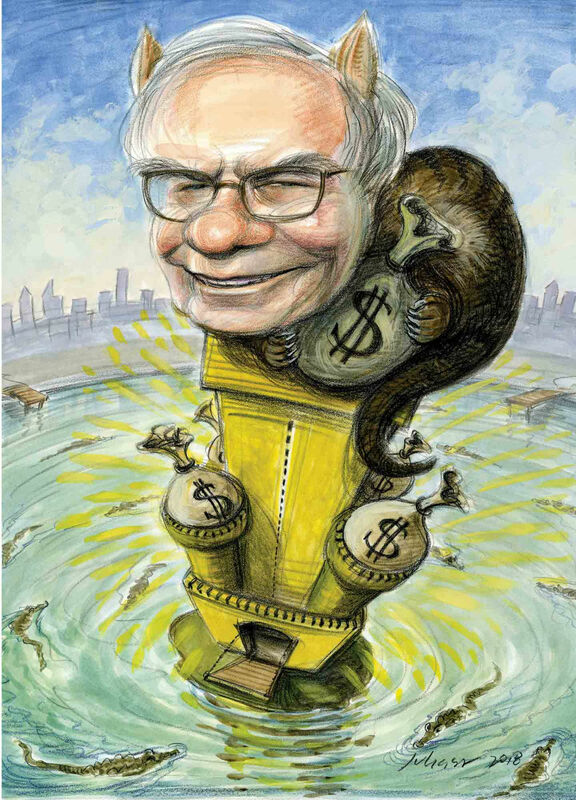 Buffett craves monopolies. Who wouldn’t want to invest in them? How about helping citizens by doing away with government controlled monopolies like the US Post Office or the Fed? There are plenty of legitimate things about W.E. Buffett to criticize (e.g. his thoughts on gold), but leave it to a commie to write such a lame and infuriating article. It’s easier and cheaper than ever for any Joe or Jane, regardless of background, to buy a share of BRK and become wealthier right alongside Buffett and team. Why aren’t they celebrating that? The writer of the article doesn’t understand how the government’s actions are causing the disparity of wealth. Licensing requirements for hair cutters? Keep the poor out of the job market. Central planning? I would just like to thank you for the phenomenal work you do on this site. Hi John – I’m very interested in this. Do you have any readings/links that you could share that I read so I could understand this better. PS: Thanks for a great blog and all the sharing of materials, links etc. – have been following for a long time. start with that book, then go to mises.org and look up tariffs, licensing requirements, etc. The article did a good job explaining what a moat is. Better than any book on investing.